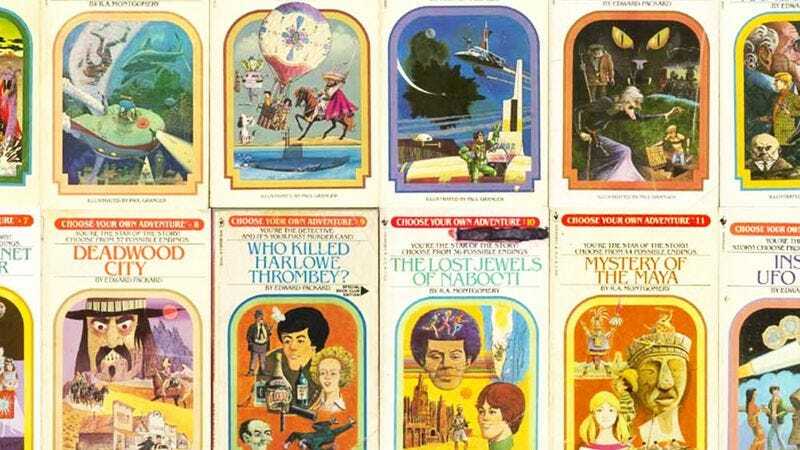 As everyone knows who’s kept their finger on that page, hoping they could turn back and pick a different storyline, Fox has been developing a movie adaptation of Choose Your Own Adventure, the nostalgia property whose refusal to be adapted into a single, linear narrative is its very essence—not to mention, right there in the title. Since then, there’s still been no word on how Fox plans to choose their own adventure for you to watch fecklessly, but now it’s chosen the writers and director who will do that choosing for you. Who will it be? If you are a studio executive who believes that all family action-adventure movies must have the same homogenized sensibility, so you rely on the same creative teams over and over again, turn to page 6. If you are a robot, turn to page 8. A phone call is made. Seconds later, Thomas Lennon and Ben Garant burst through the door, palms extended. Now you just need to find a director. If you believe that hiring Lennon and Garant is not enough to suggest to adults audiences that your family action-adventure movie will have the illusion of comedic “edge,” without actually having any, keep reading. If you feel your human nature slipping behind a cold, calculating, mechanical veil, turn to page 8. “What about Rawson Marshall Thurber, that guy who somehow turned a story about drug-smuggling and strippers into sentimental formulaic slop with We’re The Millers?” you say—but everyone else has already left. You are in charge of this project. “FOUR QUADRANT FAMILY ACTION-ADVENTURE FILM SEQUENCE INITIATED,” you say, your speech devolving into a series of clicks and hisses. You are a machine now, completely devoid of any human emotion or ingenuity—your every “choice” made according to the crunching of numbers, your every “adventure” playing out according to a programmed pattern that leaves no room for surprise. You are now ready to make a Choose Your Own Adventure movie.